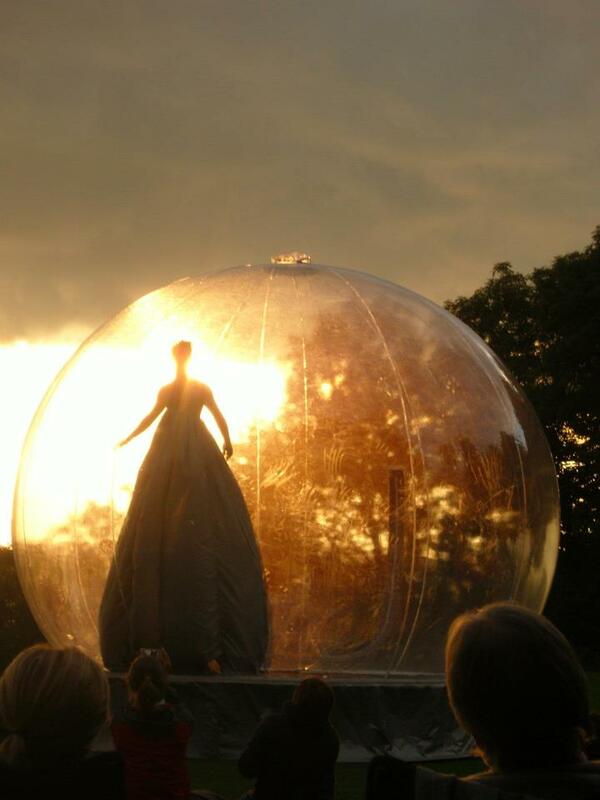 In 2012 Antony Waller went to see Terrarium by Simon Birch Dance, during its first tour in North Yorkshire and as a result decided to programme it into the first edition of SALT in 2013. 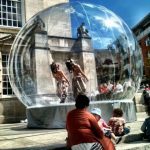 Terrarium is a unique audience experience – there are no seats and the audience gather within a ring of 8 speakers around a transparent inflatable globe. 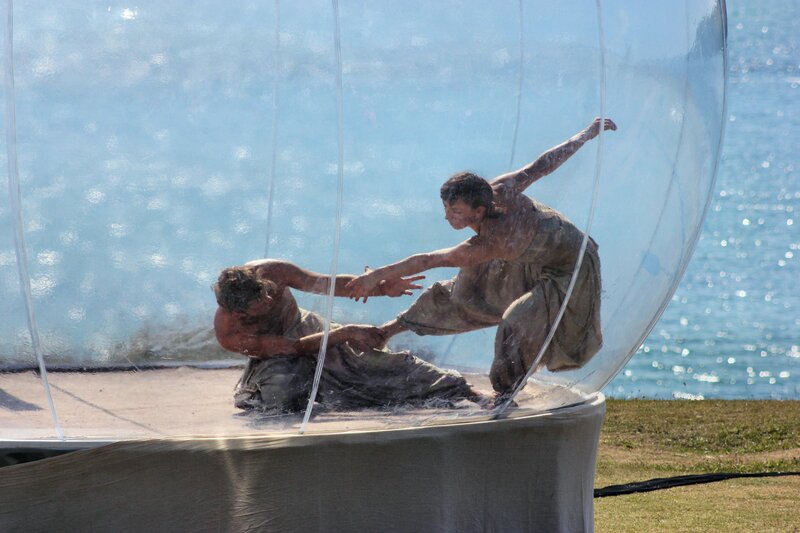 It is performed by 2 extraordinary dancers (originally James Southward and Debbie Purtill). 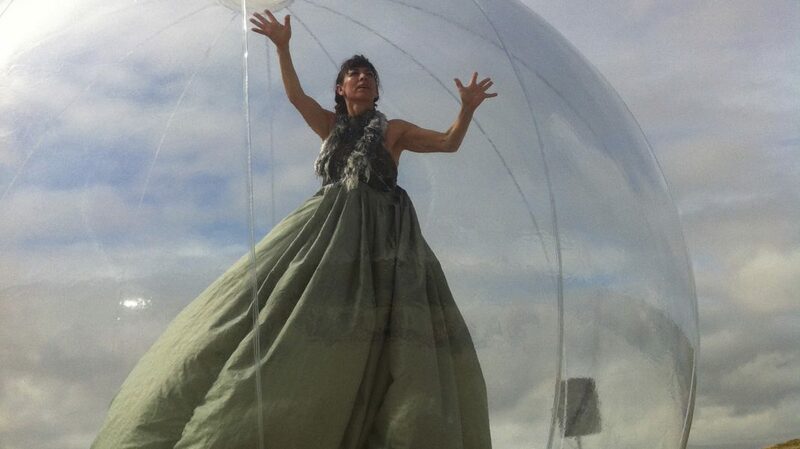 Terrarium: Dance In A Bubble from Hana Backland on Vimeo. 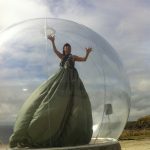 We decided to locate Terrarium on 3 different sites, all in a natural environment – and chose the top of the cliff at Bedruthan Steps, the grounds of Trerice Manor and the coast path at Daymer Bay. 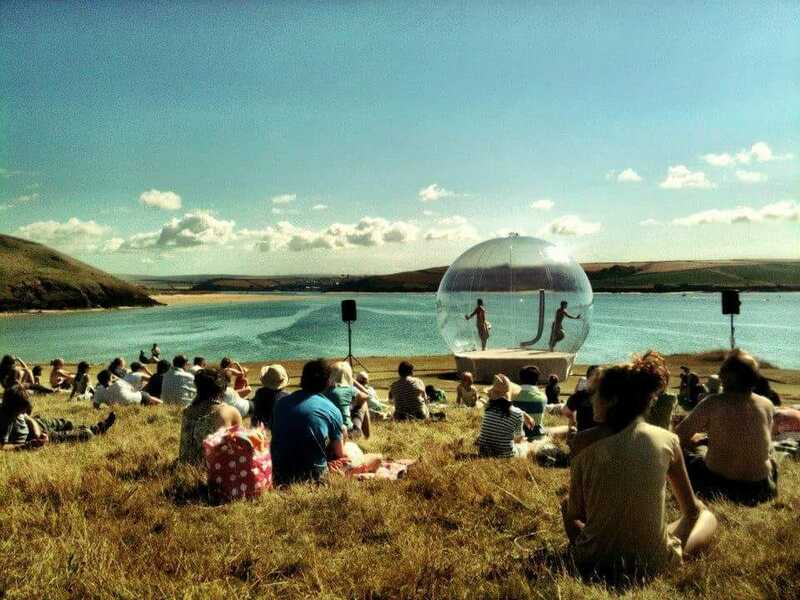 Each location led to quite a different experience – changes in the weather have a huge impact on the way individuals perceived the work – so the presence of heavy rain clouds at Bedruthan gave the work an entirely different feel to the brilliant sunshine and 80 degree heat at Daymer. The impact of Jon Hughes’s soundscore played back through the ambisonic sound system can not be underestimated – as you step into the ring of speakers you are almost overwhelmed by the unexpected power of the soundscore (it is fairly quiet outside the circle) and with the dancers contained within their own bubble there is a very ‘otherworldly’ feel to the whole experience that stays with the viewer for a longtime afterwards.